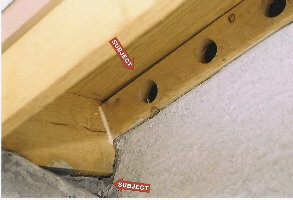 This is located at the exterior base of your wood frame stucco home. 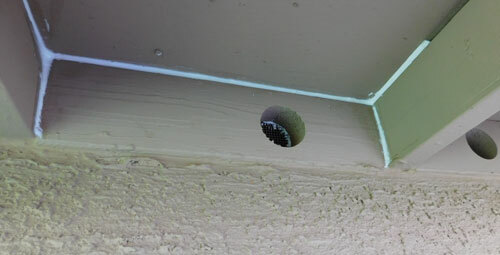 It is a metal strip with small round holes that runs around the entire perimeter of your home where the stem wall of your home meets the stucco. The purpose is to allow any moisture to weep out of your exterior walls. The opening that needs to be sealed is gapping between the weep screed and the stem wall of your home not the weep holes. 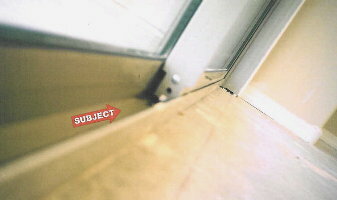 The openings can vary in size any were between 1/8 inch- 3 inches in width. We recommend using an elastic base silicone that will have some movement when your home is settling from being new or due to the change in weather. Open areas in the wood overhangs of your home where bugs can enter. Are a common area that is open on most homes. This is where the two points of your roof come together as one. This is a common area where rodents or bugs can enter your home. 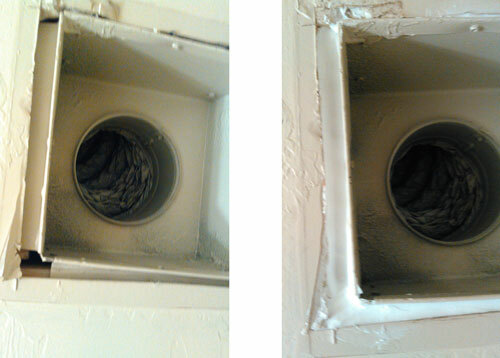 Located on your rooftop is ventilation for your exhaust fans located in your bathrooms and laundry rooms. This again is an area were rodents, bees or bugs can enter your home. These areas are very common entry points, AC lines, exterior light fixtures, water spickets, exterior threshold of doors, wood trim of doors and utility boxes or mechanical rooms. 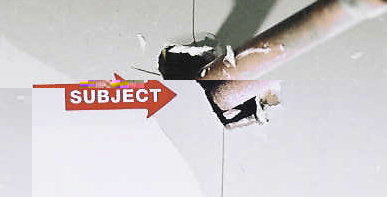 Is a very important area that needs to be sealed where the stem wall of your garage meets the sheetrock. This will stop bugs from entering the walls of your home. Your garage doors are very large which allows bugs to enter constantly. Areas to look for: Sliding Glass Doors-Most sliding glass doors are open at the bottom track. This is a highway for insects to enter your home. French Doors- Common open areas are the sides of your doors, where the door sweep meets the threshold and were the two doors come together. This area is basically a hole in your ceiling were the motor sits for your fan. 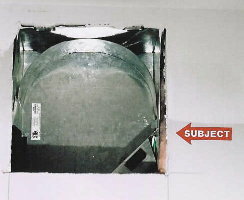 The cover should be removed and screened to prevent anything from entering your home. If bugs are living in your walls this is on way they will enter your home. When you remove the interior registers for heating and cooling, normally there is a gap between the metal air duct and the sheetrock this should be sealed. If bugs are living inside your walls this is one way they will enter your home. Under your sinks should be sealed. Scorpions especially are attracted to moisture; if they are in your walls they will use this area to enter your home. 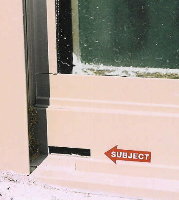 11) Screen window weep holes.